Oh honey, that damaged skin of yours needs some repairing! 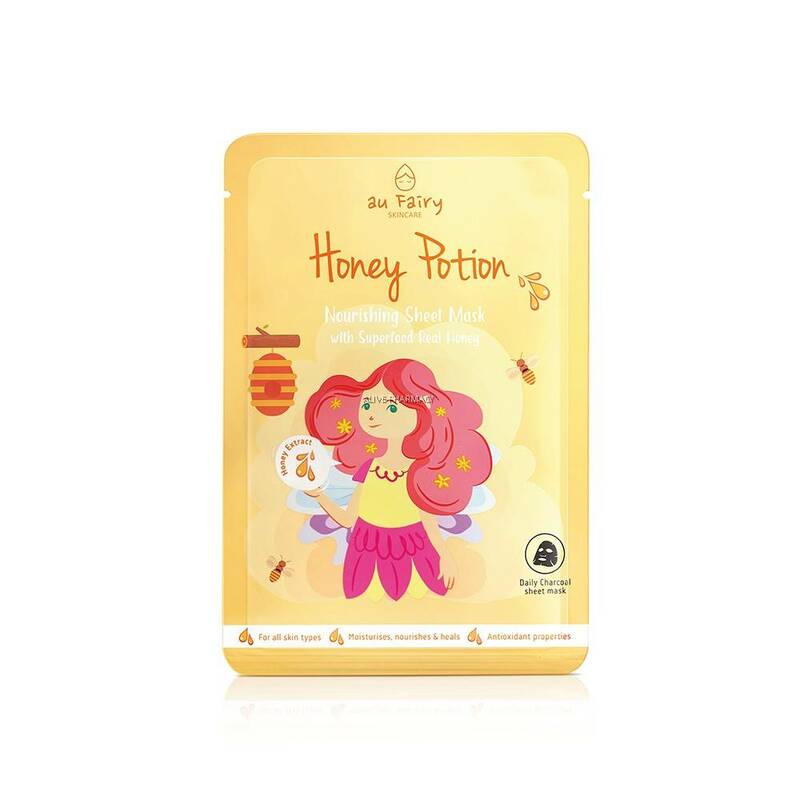 The Au Fairy Honey Potion Mask is designed to moisturise and relieve stressed skin. Let Mother Nature help you – honey is the best superfood for your skin's health and has antioxidant and antimicrobial properties. Say goodbye to dry and dull skin. - You will love the honey essence mask that relieves your stress and nourishes your stressed skin. 1. Use after usual cleansing routine. 2. Remove mask from the packet and apply on face. 3. Leave the mask on for 15 to 20 minutes, then remove and discard. 4. Massage remaining essence into skin.